The Netherlands! Postcard-perfect pose. Thanks, Winnie!!!! World traveler, here’s where Winnie was last seen (and a little bit about the countryside). 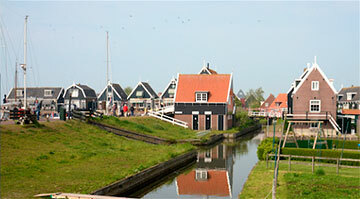 Marken is a village in Waterland and Zaan Region, North Holland, Netherlands. It is known for its characteristic wooden houses and traditional costumes. It’s a peninsula in the Usselmeer Lake, but connected to the mainland by a causeway. 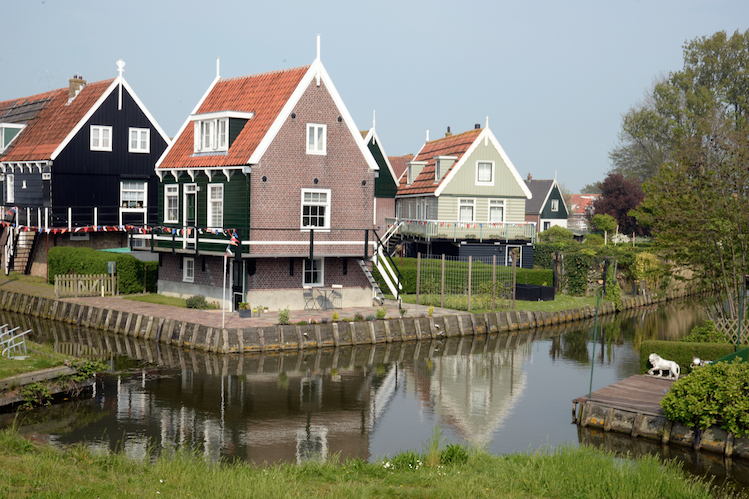 This picturesque little village was originally situated on an island. Floods were regular and often disastrous. To protect their belongings and themselves from the water, the inhabitants created artificial dwelling hills on which they build their houses. As fishery became the main economic activity, the population grew rapidly. When the Afsluitdijk was finished in 1932, and the Zuiderzee became the sweet water Usselmeer with no access to the sea, fishery activities came to an end. 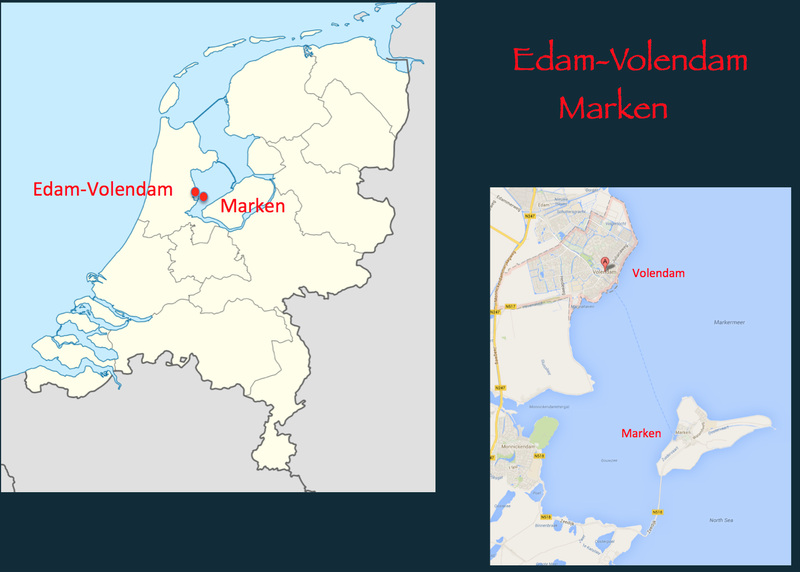 When the dike between Marken and the mainland was closed in 1957, Marken wasn’t even a real island anymore. Nevertheless, the village still has the looks and feel of a fishermen’s town and an island. For over a century, it has drawn in visitors who wanted a glance at its traditional costumes and picturesque houses. 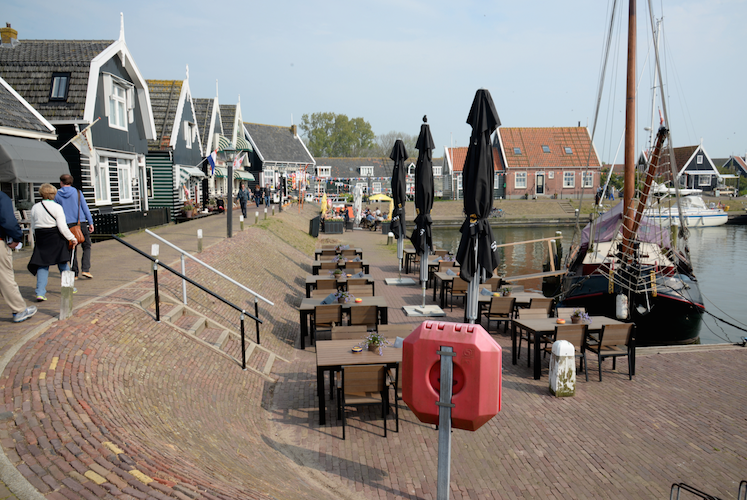 What a beautiful and quaint place Marken is and it was one of my favorite visits on our trip. 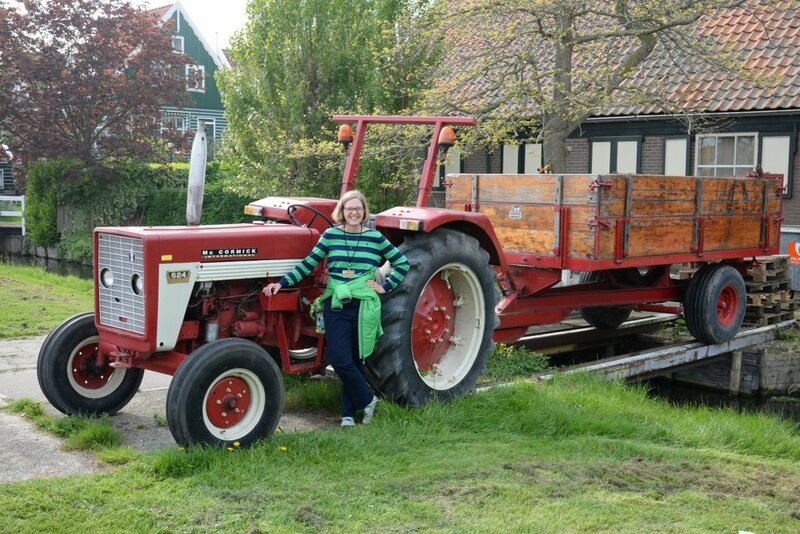 That red tractor was a beauty too! I loved the old fashioned wooden cart on the back. Winnie, I was so excited to hear and see pictures from your trip! What a very farmgirl picture of our sweet Winnie and what a fun trip you are on. Wonderful pictures, thanks so much for sharing.